These triage tools help you sift, delegate and delete quickly. 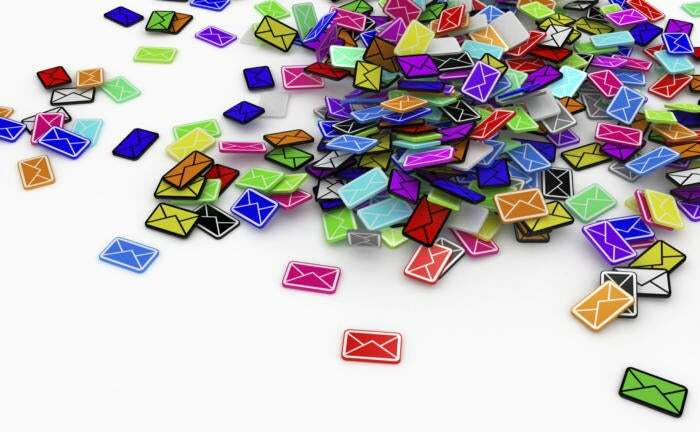 We’ve previously looked at services to help manage the email epidemic. Those work well on a desktop client, but well over half of all email first gets opened on a mobile device. Fortunately, there a few mobile apps that can help you clean out the clutter morass of messages and reach the hallowed inbox zero. They don’t all use productivity methods to get there, but your inbox will be empty by the end of the day. Mailbox's scheduling options move messages out of your inbox until you're ready to deal with them. Knowing most of us work out of our inboxes anyway, Mailbox provides the tools to do it more efficiently. The app, which supports Gmail and iCloud accounts, uses swiping gestures to archive, trash, schedule, and categorize email. For example, you swipe left on a message to defer it to a later time. A preset menu lets you schedule it for anywhere from “later today” to “someday.” The message is then placed in a “later” folder and returned to your inbox at the designated time. You can also turn email messages into tasks. Long swiping left allows you to assigning a message to a list you create such as “to read” or “to respond.” These messages are moved out of your inbox to a “list” folder that functions as a de facto to-do manager. Mailbox’s best trick is learning from your behavior so that automatically performs common actions, like auto-archiving all messages from certain senders or moving newsletters to your to-read list. And if your email count goes over 100, a Help Me Get To Zero button will appear at the top of your inbox. Press it to purge unimportant messages. Zero summarizes each email message in a card layout and automatically archives it when you're done with it. Zero uses an unconventional layout to help you speed through your inbox. Each message is presented as a card-style summary, so that you can only focus on one message as a time. When you swipe through to the next message, the previous one is automatically archived (to keep it in your inbox, just tap the star at the bottom of the message). The experience is not unlike scrolling through your Facebook timeline or Twitter feed. 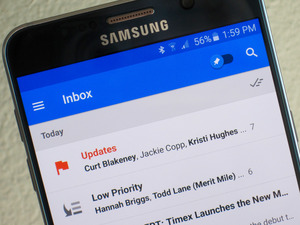 You can view your email in the typical list style by switching to Inbox view. Here, swiping left on a message will bring up the edit menu, with options to flag, move, or delete it. No matter how you prefer to view your messages, you can sort them by time or priority by tapping the appropriate button at the top of the screen. Zero works with Gmail, Yahoo, iCloud and Outlook. Triage simplifies email processing with two options: archive and keep. If fussing with labels, lists, and sorting options just adds to your sense of email overload, Triage is the app for you. Trumpeted as “email first aid,” this app has two cures for what ails your inbox: archive and keep. Like Zero, Triage presents email messages one at a time in a card format. After you’ve read or replied to an email, you just swipe up to archive it or down to mark it unread and keep it in your inbox. Once you’ve chosen a card’s fate, you won’t see it in Triage again. To revisit these processed messages, you need to access them through a full-featured email client. Admittedly, Triage’s no-nonsense approach isn’t for everyone, and even if it is you shouldn’t rely on it as your only email app. But when you just need to weed out your inbox as fast as possible while you’re on the go, you can’t ask for a better tool. Triage supports Gmail, Yahoo, iCloud, and most IMAP email accounts.